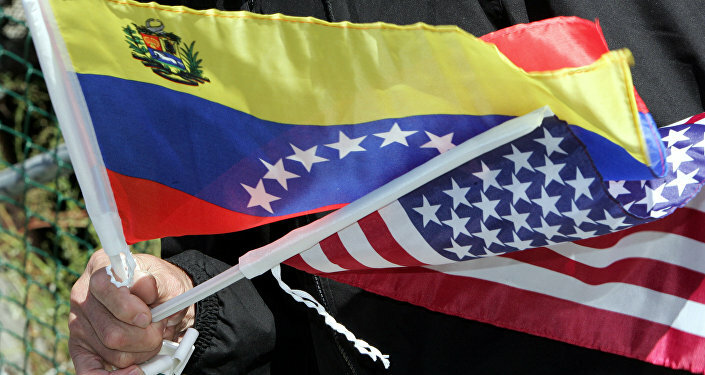 Radio Sputnik has discussed the crisis in Venezuela with Professor Heinz Dieterich, an adviser to the late Venezuelan president Hugo Chavez, who now manages a research centre at the Universidad Autonoma Metropolitana in Mexico City. Sputnik: President Trump has recently said that Russia should get out of Venezuela. John Bolton and Mike Pompeo have both said that Russia has nothing to do with the Western Hemisphere. How do you assess such statements now? Prof Heinz Dieterich: Well, of course, that is what the late US Senator Fulbright called ‘the arrogance of power'. The political class in the United States has two distinguished aspects: they are very chauvinistic, arrogant and they are very stupid. And that is most dangerous for world peace because they are a great nuclear power. Why are they arrogant? What does arrogance do to you? Well, it makes you blind vis-à-vis the facts. So, when they open their mouth they speak about virtual realities, not the facts. Because it is rather astonishing that a country like the United States that financed the overthrow of a legal government in Ukraine for 5 billion dollars, that financed the Brexit campaign of the United Kingdom's intent to leave the European Union, that has spent hundreds of billions of dollars in Afghanistan, Syria and so on, talks about Russia having nothing to do with the Western Hemisphere. In a global world everything has to do with everything. So it is just a delusionary and ridiculous statement by an arrogant political class that has forgotten that is not the only controlling power left in the world, that it is now a multipolar system. Sputnik: Well, absolutely. The US has threatened to impose sanctions against Russia despite the fact that Russian servicemen arrived to carry out maintenance on Russian military equipment, previously acquired by Caracas. I think that's under the 2001 agreement. And their presence was approved by President Maduro, of course. What authority do they have to issue such warnings then? Prof Heinz Dieterich: They have no authority and they don't care about any authority because almost everything they do is a violation of international law. So they don't care about authority, they only care about power. And they think they still have the power to define the relationship between two sovereign states, or three if you take into consideration China. So it is really a total disconsideration of the international architecture of security and peaceful coexistence. And it really merits war crimes trials like the ones that were used against the Japanese military who has started the war on the Pacific, and Hitler, because this is a policy that leads to war if you do not respect other countries prerogatives and rights to existence. And at the end, they bring us step by step closer to a military confrontation between the big powers. So it is absolutely absurd that they protest against a maintenance crew of Russia which just carries out maintenance performances of equipment that was by mutual consent sold to the Venezuelan government under President Hugo Chávez. Sputnik: Now, the US has interfered in many affairs of foreign countries in the Eastern Hemisphere, we know that. What do you think of the claims that they are making against Russia? You have mentioned a few things in your previous answers. We are repeating ourselves, but what is the main crux that you can say about this? Prof Heinz Dieterich: Well, what you have going on now is a threat on a world scale never seen before between four big power centres or centres of gravity of world affairs, which of course is Russia, China, the United States, the European Union, and very soon India. And they (the US) have not come to grips with that situation. They still act as if they were in a post-Washington Consensus situation in which they still have the power to impose their interests and their will. And that is no longer the case. So, that is why they are delusional. They act not according to power relationships. They do not act according to the legitimate interests of other powerful countries. And that is what Hitler did. Hitler said basically: "We want to control German capital. We want to control central and eastern Europe. Well, and if you don't give that to us then we will take it by force". That is how the Second World War was started. And this is the same logic that Trump and his criminal crew in the White House are playing today to world politics. 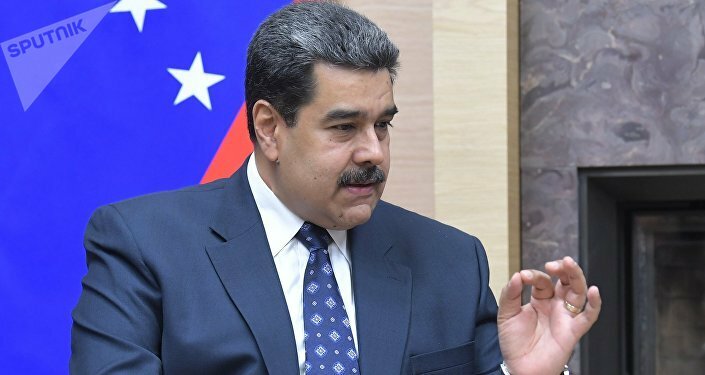 Sputnik: Recently, President Maduro said that Venezuela has become a target of a non-traditional war waged against it. I mean that is a standout statement, that he has actually made recently — "a non-traditional war waged against the country" — how justified is this statement you feel? Prof Heinz Dieterich: Well, of course, an aggressive power, like the United States, which has all type of aggressive means at its hands, would choose the ones that have the lowest political costs for them. They do not dare to intervene with regular military forces because the political cost in the pre-electoral campaign they are now in would be too high. The risk would be too high for the elections. So, what are they going to do? They are going to use the force that destroys the Venezuelan government against which they have no defence: like the financial asphyxiation, the economic encirclement and the political worldwide propaganda campaign, the isolation and so on. And of course, means of cyberwar, as they did against Iran when they destroyed the Iranian centrifuge for nuclear fusion, for nuclear material production. They did that by the introduction of a virus, the famous Stuxnet. And so they have the means to do this kind of non-traditional warfare. And of course, they use it because the effect is devastating because all public services are collapsing in Venezuela — from water to schools, to hospitals, to electricity.